Welcome to your fool-proof guide on how to make Curly Fries! With the help of my secret weapon, turn regular or sweet potatoes into the crispy French fries of your dreams. With the help of my secret weapon, turn regular or sweet potatoes into the crispy French fries of your dreams.... Welcome to your fool-proof guide on how to make Curly Fries! With the help of my secret weapon, turn regular or sweet potatoes into the crispy French fries of your dreams. With the help of my secret weapon, turn regular or sweet potatoes into the crispy French fries of your dreams. Welcome to your fool-proof guide on how to make Curly Fries! With the help of my secret weapon, turn regular or sweet potatoes into the crispy French fries of your dreams. 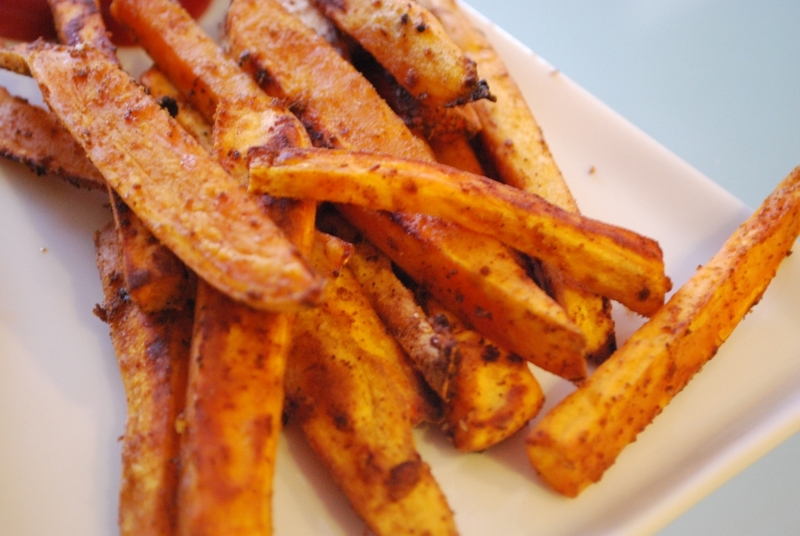 With the help of my secret weapon, turn regular or sweet potatoes into the crispy French fries of your dreams.... Instructions. Cut each sweet potato into slices about 1/4? thick. Toss the sweet potato slices with the oil and Morton Season-All. Spread out on baking sheets in a single layer. Cut sweet potatoes into medium-sized matchsticks and place in a large bowl. Cover the sweet potatoes with cold water and soak for 30-60 minutes. Pat the sweet potatoes dry with a �... Welcome to your fool-proof guide on how to make Curly Fries! With the help of my secret weapon, turn regular or sweet potatoes into the crispy French fries of your dreams. With the help of my secret weapon, turn regular or sweet potatoes into the crispy French fries of your dreams. 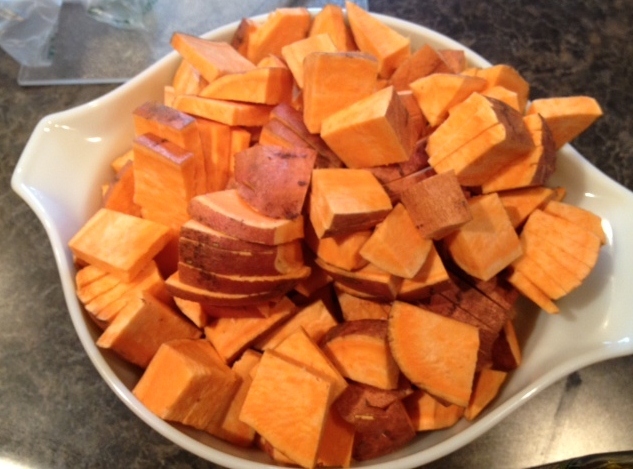 Cut the sweet potatoes in fry shaped pieces and put into a large bowl. Cover the potatoes in the spices and mix well in the bowl. Place potatoes on the cookie sheet. Once the baked sweet potato fries have finished, good luck trying to wait for them cool off before biting into the slightly crispy, salty fries with a soft, fluffy interior. And you really can�t go wrong with the dipping sauces. Instructions. Cut each sweet potato into slices about 1/4? thick. Toss the sweet potato slices with the oil and Morton Season-All. Spread out on baking sheets in a single layer.